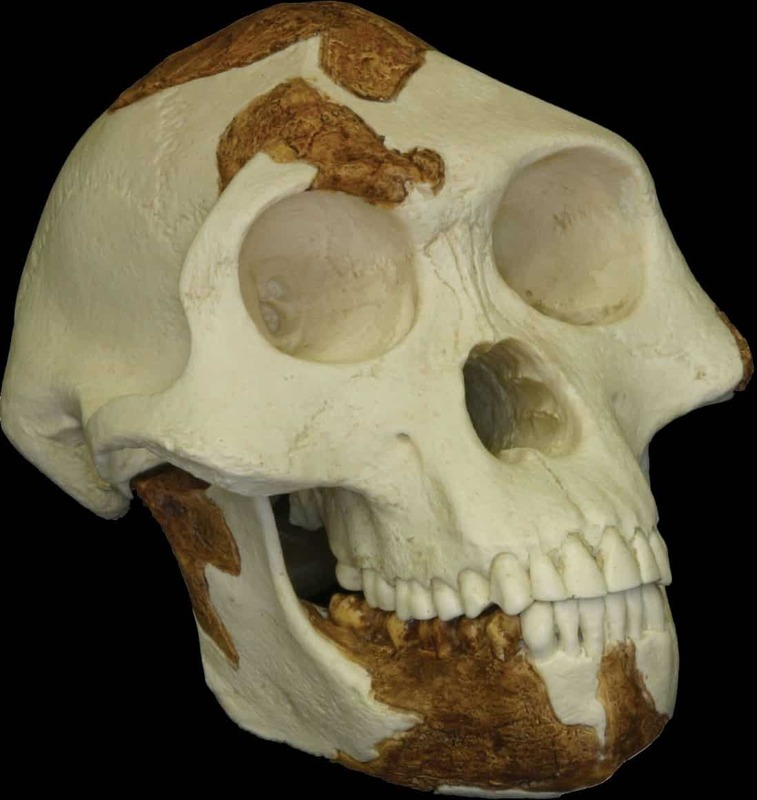 Reconstructed replica of the skull of “Lucy,” a 3.2-million-year-old Australopithecus afarensis found by anthropologist Donald Johanson in 1974 at Hadar, Ethiopia. Image credit: Encyclopedia Britannica, December 2008. Stephen Jay Gould, until his death in 2002, taught biology, geology, and the history of science at Harvard University and was Frederick P. Rose Honorary Curator of Invertebrates at the American Museum of Natural History. This article was reprinted in the November 1995 issue of Monthly Review from Ever Since Darwin (New York: W. W. Norton, 1977) with the author’s permission. No event did more to establish the fame and prestige of the Museum of Natural History than the Gobi Desert expeditions of the 1920s. The discoveries, including the first dinosaur egg, were exciting and abundant, and fit the sheer romance of Hollywood’s most heroic mold. It is still hard to find a better adventure story than Roy Chapman Andrew’s book (with its chauvinistic title:) The New Conquest of Central Asia. Nonetheless, the expeditions utterly failed to achieve their stated purpose: to find in Central Asia the ancestors of man. And they failed for the most elementary of reasons—we evolved in Africa, as Charles Darwin surmised fifty years earlier. the sometimes spectacular failure to predict discoveries even when there is a sound basis for such prediction. 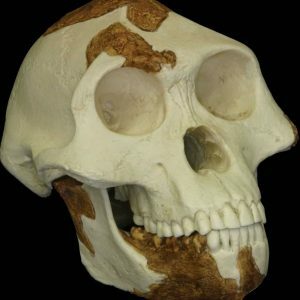 An evolutionary example is the failure to predict discovery of a “missing link,” now known [Australopithecus], that was upright and tool-making but had the physiognomy and cranial capacity of an ape. But why, despite Haeckel’s demurral, did the idea of cerebral primacy become so strongly entrenched? One thing is sure; it had nothing to do with direct evidence—for there was none for any position. With the exception of Neanderthal (a geographic variant of our own species, according to most anthropologists), no human fossils were discovered until the closing years of the nineteenth century, long after the dogma of cerebral primacy was established. But the debates based on no evidence are among the most revealing in the history of science, for in the absence of factual constraints, the cultural biases that affect all thought (and which scientists try so assiduously to deny) lie nakedly exposed. Indeed, the nineteenth century produced a brilliant expose from a source that will no doubt surprise most readers—Frederick Engels. (A bit of reflection should diminish surprise. Engels had a keen interest in the natural sciences and sought to base his general philosophy of the dialectic of materialism upon a “positive” foundation. He did not live to complete his Dialectic of Nature, but he included long commentaries on science in such treatises as the Anti-Duhring.) In 1876, Engels wrote an essay entitled, “The Part Played by Labor in the Transition from Ape to Man.” It was published posthumously in 1896 and, unfortunately, had no visible impact upon Western science. Engels considers three essential features of human evolution: speech, a large brain, and upright posture. He argues that the first step must have been descent from the trees, with subsequent evolution to upright posture by our ground-dwelling ancestors. “These apes when moving on level ground began to drop the habit of using their hands and to adopt a more and more erect gait. This was a decisive step in the transition from ape to man.” Upright posture freed the hand for using tools (labor, in Engels’s terminology); increased intelligence and speech came later. Thus the hand is not only the organ of labor, it is also the product of labor. Only by labor, by adaptation to ever new operations…by the ever-renewed employment of these inherited improvements in new, more and more complicated operations, has the human hand attained the high degree of perfection that has enabled it to conjure into being the pictures of Raphael, the statues of Thorwaldsen, the music of Paganini. Engels presents his conclusions as though they followed deductively from the premise of his materialist philosophy, but I am confident that he cribbed them from Haeckel. The two formulations are almost identical, and Engels cites the relevant pages of Haeckel’s work for other purposes in an earlier essay written in 1874. But no matter. The importance of Engels’s essay lies not in its substantive conclusions, but in its trenchant political analysis of why Western science was so hung up on the a priori assertion of cerebral primacy. All merit for the swift advance of civilization was ascribed to the mind, the development and activity of the brain. Men became accustomed to explain their actions from their thoughts, instead of from their need.… And so there arose in the course of time that idealistic outlook on the world which, especially since the downfall of the ancient world, has dominated men’s minds. It still rules them to such a degree that even the most materialistic natural scientists of the Darwinian school are still unable to form any clear idea of the origin of man, because under that ideological influence they do not recognize the part that is played therein by labor. The importance of Engels’s essay does not lie in the happy result that Australopithecus confirmed a specific theory posed by him—via Haeckel—but rather in his perceptive analysis of the political role of science and of the social biases that must affect all thought. Indeed, Engels’s theme of separation of the head and hand has done much to set and limit the course of science throughout history. Academic science, in particular, has been constrained by an idea of “pure” research, which in former days barred a scientist from extensive experimentation and empirical testing. Ancient Greek science labored under the restriction that patrician thinkers could not perform the manual work of plebeian artists. Medieval barber-surgeons who had to deal with battlefield casualties did more to advance the practice of medicine than academic physicians who rarely examined patients and who based their treatment on a knowledge of Galen and other learned texts. Even today, “pure” researchers tend to disparage the practical, and terms such as “aggie school” and “cow college” are heard with distressing frequency in academic circles. If we took Engels’s message to heart and recognized our belief in the inherent superiority of pure research for what it is—namely a social prejudice—then we might forge among scientists the union between theory and practice that a world teetering dangerously near the brink so desperately needs.